Powers: Self generated light based powers allow him to create hard light constructs or fire concussive blast or burst of blinding light from his hands. The twin brother of the Justice League International villain Lightweaver. His past is a complete mystery. After Lightweaver’s death he buried him in an abandoned lot with a battle of rum to mark the spot. Grief stricken he attacked the JLI but batman managed to talk him down and Guy Gardner pardoned his actions allowing him to go free. I love this power! 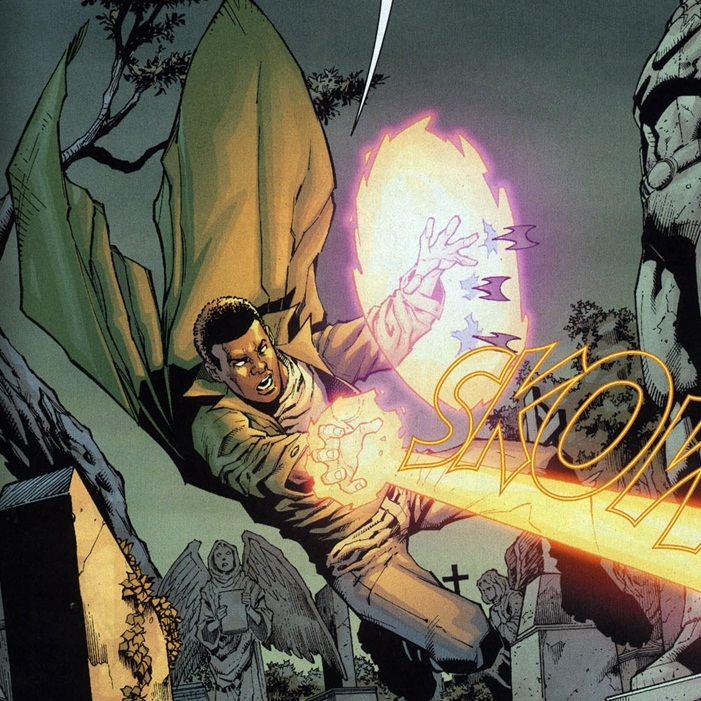 I’m always happy when a Black character gets a kickass power liek this. Now to see if they will utilize him at all.